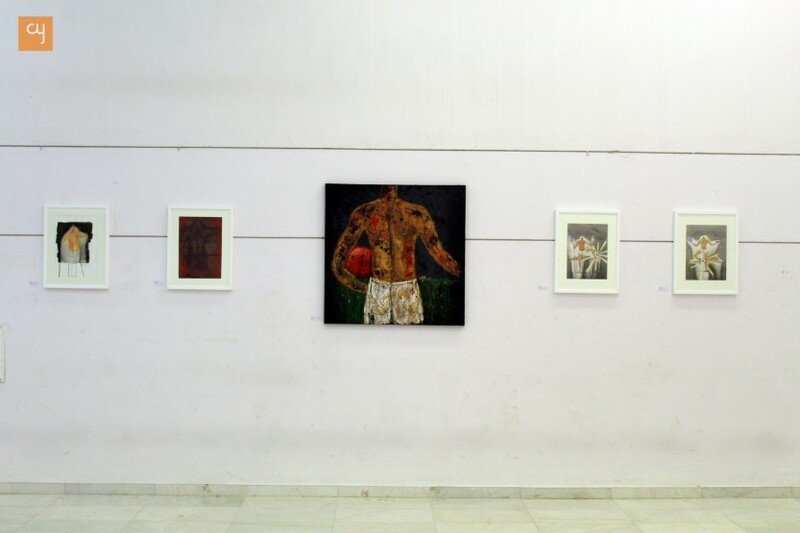 A gallery full of masterpieces, L&P Hutheesing Visual Art Centre was all blooming with the paintings of 5 art pundits this week, Hindol Brahmbhatt, Indrapramit Roy, M.Sasidharan and Vasudevan Akkitham. 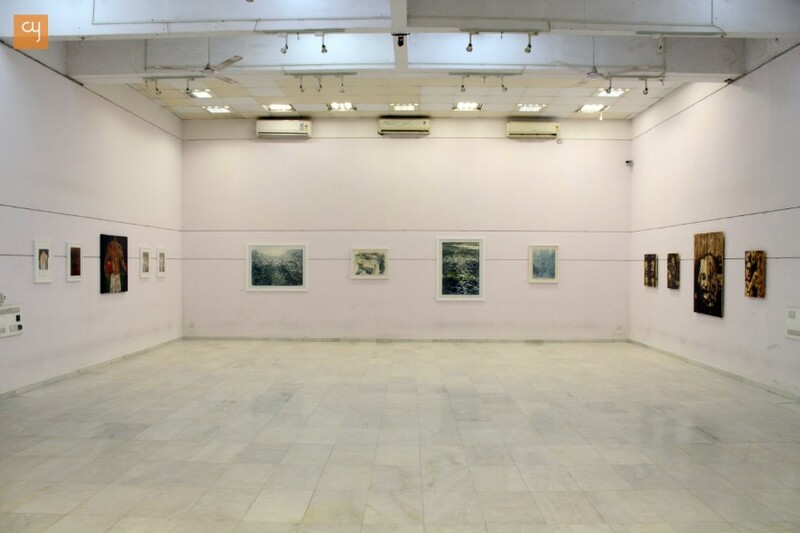 An exhibition curated by Giriraj Kadia, The Five will continue for spectators till October 5, 2016, from 04:00 PM to 08:00 PM. It is easy to speak out or write in your words and try to explain your perspective upon a given subject, but how will you reflect the whole story rolling over your mind within a restricted single space called as the canvas. 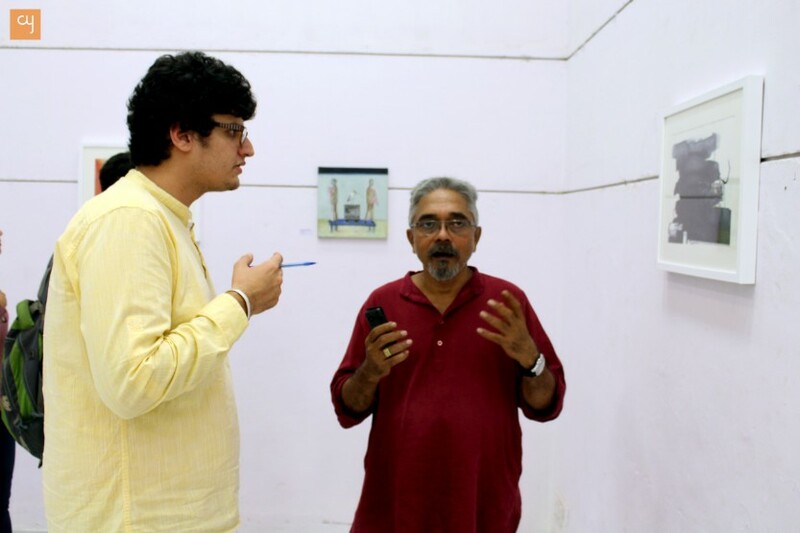 Painter M. Sasidharan, who is also a senior faculty at MSU Baroda picked up the theme of ‘Big World & Small People’ and literally exclaimed an essay within every painting. His natural and unsolicited strokes spreading naturally over the portrait is an experiment on human emotions. His painting with countless faces staring out of the edging spaces dipped in non-primary colors is a showcase of the flouncing human pretension; it literally gave goosebumps to me. 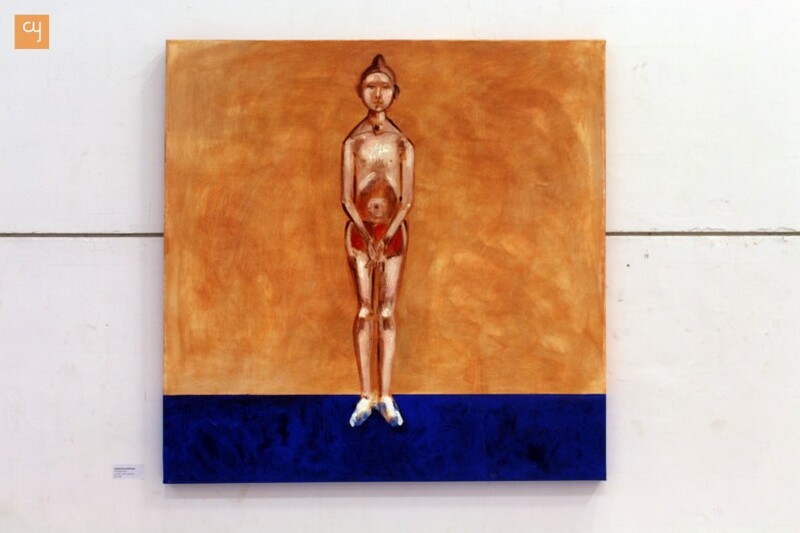 Human dreams are certainly boundless, has an ability to take you on a river rafting ride while sitting at the Thar Desert, but can a body speak without a face, well I felt that Alok Bhatt, who is also a faculty at MS University, Baroda could make its painting squeal with just Torsos. Yes, his painting theme dedicating only the human torso that too its spinal portion exclaimed every phase of life. From the pain of a shirtless body with bruises and scars to a child practicing with its ball at the break of dawn. I have personally never felt a back so intriguing that it would make me stare at anything for at least 10 minutes to understand its real zest. 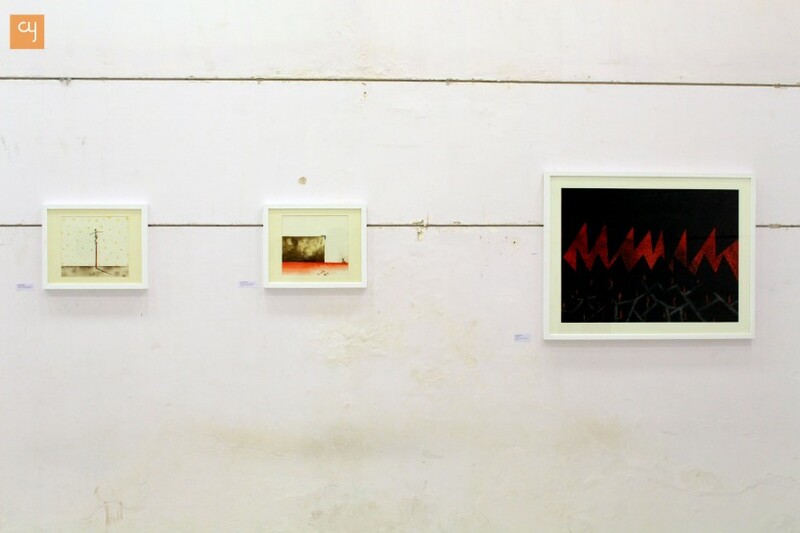 Vasudevan Akkitham’s painting had a classic feel with subjects shaped in a retro form. Focusing on animals, humans, rooms and space decor materials his placement of elements distinctly made every subject visible. 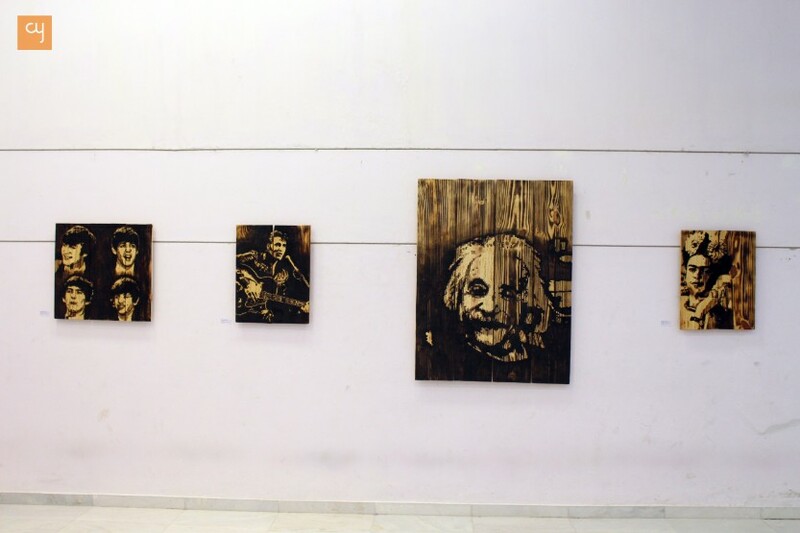 Hindol Brahmbhatt a Baroda-based artist, who has a niche in developing creatives by experimenting with burnt wood, took images of few brilliant personalities and dedicated his artwork to them. This retro lover artist beautifully portrayed Beatles, Albert Einstein and Elvis Presley using unique drawing materials. Hindol has been a Gandhian philosopher since a long time and has done series on his understanding on Gandhian Philosophy. Within all these loud voices there was a sweet hush of tranquility within Indrapramit Roy’s paitings. The shimmer of flowing water within his painting was literally soothing and the depth of colour and it shades and its intricacy was clearly visibile in his efforts. His life-sized paintings were standing apart from most of the paintings exhibited under the dome. One must spend atleast an hour to understand the real meaning behind the five. And make sure to switch your creative mode on, because this stuff will certainly make your mind drool with innovation.